It was an 18.9 mile day. I set up my tent on a river full of rapids and waterfalls near Cooper Brook Lean To. Of course I went in to cool off and clean up. Went over four mountains today. The weather was rather nice today. From White Cap Mountain I could see my final mountain, Mt. Kathadin. It is the first time I have seen it in real life. I do not go over any more significant mountains until the last one at the end of the trail now. The trail ahead sounds full of rock and roots, it is hard moving all day long on those, but there could be a burning pit of gasoline ahead, no matter…going on through whatever the trail does ahead. I would prefer a candy lined trail, but that is unlikely. 59.7 miles remain for me to traverse injury free. I wish I was in one of those huge inflatable sumo wrestler suits, so if I had a minor fall I would be fine. 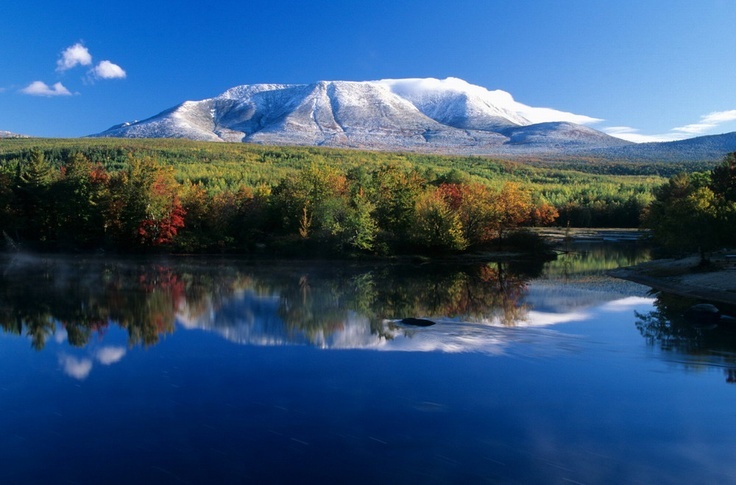 I bet that was a thrill to see Mt Katahdin and yes, so very lucky to not have an injury.